Motor Scooter Store Reviews - Have Your Say! Not all scooter stores are alike. Some specialize in scooters... others sell scooters as just one of the many 2, 3, or 4-wheel vehicles in their inventory. Customer service, selection, price and salesperson expertise can vary widely from store to store. This page can both give you information based on others' experiences... OR you can contribute your own scooter store review. This section is growing slowly, so if you don't see what you need right now, check back again later... and it just might be here. If you can submit a review of a scooter store you know about it your area, it would be great. You see, I don't know much about stores outside of Boise, so any information my readers can help me out with is much appreciated... both by me and by my readers. While I appreciate your willingness to share your review here, I do have to require that you use use proper capitalization & punctuation when you type it. Please... no ALL CAPS! If you are not willing to do so, then I WILL delete your review! I'm sorry to be so inflexible, but... I just don't have time to do heavy editing and I won't publish ALL CAPS, all lower case, no spell checked or no punctuation submissions. No exceptions. So don't waste your time or mine in typing in such dreck, OK? Thanks for your cooperation! 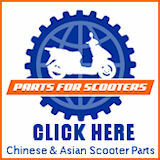 Do you have a scooter store or scooter dealer you can speak firsthand about? If so, that's great... Share it with our site visitors & community! 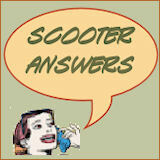 Tell us all the ins and outs of what you do and don't like about this particular scooter store or online dealer. Please don't bother to leave a review that just says something like, "Great store... highly recommend them!" We need more info than that... such as the specifics of their customer service, what lines of scooters they carry, do they offer repair/maintenance services, etc. The more info, the better! And please... be sure to include an address/phone number for the store, as well as their website URL, if you know it. 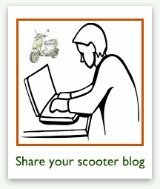 Your scooter store review will appear on a Web page exactly the way you enter it here. You can wrap a word in angle brackets to make it appear bold. 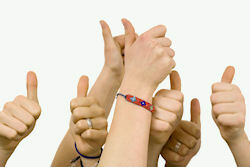 For example [my review] would show as my review on the Web page containing your story. TIP: Since most people scan Web pages, include your best thoughts in your first paragraph. 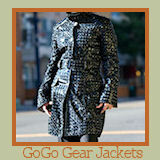 Please be sure to include an address/phone number for the store, as well as their website URL, if you know it. 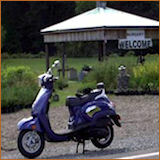 Do you have a picture of the scooter store/dealer to add? Great! Click the button and find it on your computer. Then select it. Thanks so much for taking the time to share your scooter store reviews knowledge with me and my readers. We appreciate you! 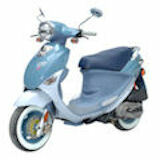 Should you buy a gas scooter used?